If your kid’s obsessed with Webkinz and Club Penguin but you can’t get them to do their chores, you may want to take a look at a new entrant into the virtual worlds scene called Handipoints. 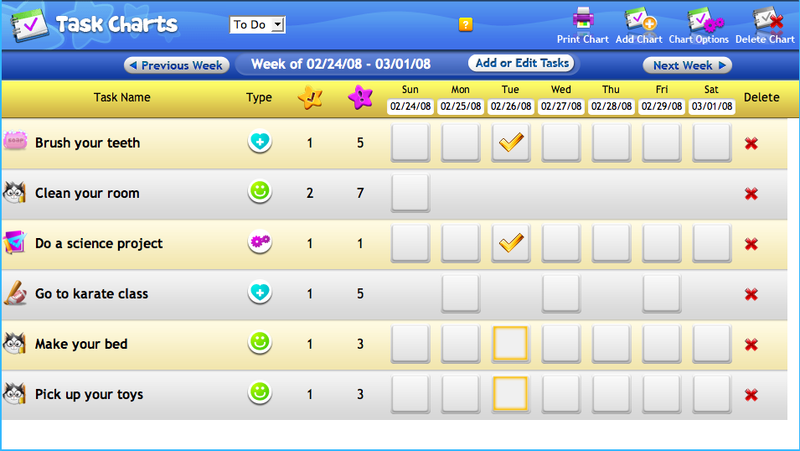 Founder Viva Chu started Handipoints in January 2007 with the notion that chore charts would be both more fun and more effective if they were moved online. So he created a site with two main parts: one that helped parents track how their kids helped out around the house, and another that consisted of a virtual world on par with the other pseudo-3D services kids have come to enjoy. These two parts work closely with one another to create sufficient incentives for kids to do their work. When kids successfully complete activities (such as cleaning their room, taking out the trash, or even brushing their teeth and eating an apple), they gain either of two types of points: so-called “handipoints” that can be redeemed for real-world items such as Nerf guns and toys; and “bonus points” that can be used to buy virtual goods in the online world. Parents determine which type of point, and how many of them, is rewarded for good behavior. Setting up a system for kids to redeem points for physical goods (or money) was easy enough; all they had to do was hook up Amazon’s APIs and create a custom storefront. But a significant effort has gone into creating an entirely new and appealing virtual world, one that’s replete with different settings, activities, items, and other users. 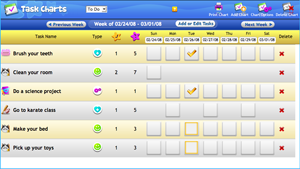 Like Webkinz, kids can walk around the virtual world and talk to each other using canned chat (where you pick statements from a list instead of typing them). This prevents inappropriate behavior. The graphics are impressive and the functionality is rather sophisticated. In addition to buying items and socializing, users can play in-world games and watch movies (these require points, too). Handipoints has raised $800k from Charles River Ventures and several angels – Keith Rabois, Georges Harik, Gady Nemirovsky, Robert Fanini, and Aydin Senkut. It’s been in beta since November 2007 and has gained 150k users so far, with 3.5 users per family on average (that breaks down into 1 parent and about 2 kids). Most of the service’s virtual goods are free, but the company plans on making money through selling premium goods to parents who want to make them available for their kids.